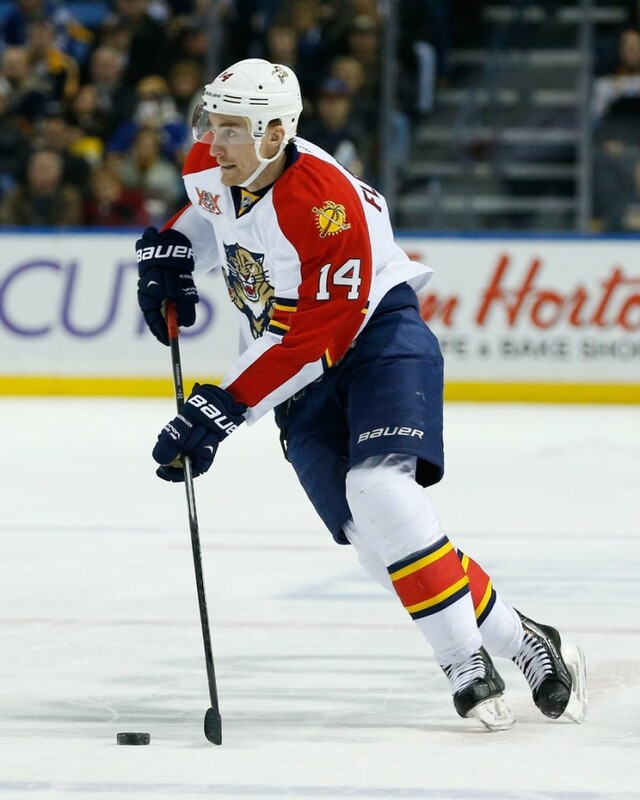 The Montreal Canadiens signing Tomas Fleischmann to a professional tryout (PTO) is a nice idea in theory. It likely won’t materialize into anything other than more competition for their younger players at training camp, though. One has to hope, anyway. The fact is, even though a spot has opened up on the left side with Alex Galchenyuk moving to center, the Habs would be better served filling it with an NHL-ready rookie like Charles Hudon or Daniel Carr for more experience. And that’s only should David Desharnais (or Lars Eller, in a more unlikely scenario) somehow be deemed incapable of helping out on the wing in Galchenyuk’s place. That’s essentially what this deal boils down to, an offer to a player to earn a spot when there really isn’t one to offer. Sure, Galchenyuk is no longer at left-wing based on last week’s announcement. All that means is there’s less depth on the left side all of a sudden, not fewer players to play the position, with both Desharnais and Eller able to line up there (along with Max Pacioretty, Jacob De La Rose, Devante Smith-Pelly, Torrey Mitchell, Christian Thomas and Brian Flynn, all according to TSN.ca). Granted, Fleischmann can play right-wing (and center) too, but the Habs have even more depth there right now. So, all the addition of Fleischmann to the mix amounts to—following the reshuffling of the deck—is a mean game of musical chairs and “mean” in the mean-spirited sense. Entertaining games of musical chairs really only exist in kindergarten. This particular version seems especially cruel, partly to the Habs prospects who now have one more obstacle to hurdle this fall. It mainly is to Fleischmann though, when at this stage of his career he’s an obstacle the same way the wall with the rope is during basic training. Oh, you’ll stop to assess how to get over it. You’ll also eventually discover you can just walk around it, much like the man they ironically once called “Flash”. Bottom line: the PTO might seem like a kindness to Fleischmann on the surface, but, truth be told, he has almost no hope of securing a Canadiens roster spot. 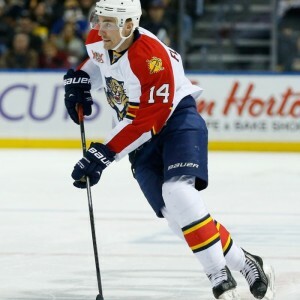 At the end of the day, this is a guy whom the Florida Panthers willingly traded to the Anaheim Ducks for the washed-up Dany Heatley, who last year scored two goals and seven points in 25 games for the American Hockey League’s Norfolk Admirals (13 points in 18 games for the San Antonio Rampage). Granted, they got a third-round pick in the process, but consider the fact the Panthers were in the middle of a playoff race at the time of the trade (late February). They felt a third-round pick potentially years away from making it to the NHL could help them more down the stretch than Fleischmann. The Ducks ended up feeling similarly, with Fleischmann playing in just six playoff games (one assist), regularly getting healthy scratched. There’s no denying that Fleischmann once had significant offensive upside to the point of being drafted by the Detroit Red Wings (who are no strangers to diamonds in the rough). The now-31-year-old even admittedly scored 61 points in 2011-12 for the Panthers. But that was five years ago. It was also the Panthers, a team on which he was a top-line player and got just under 20 minutes of ice time a game. To put that in perspective, Alex Galchenyuk, the forward the Habs are now (justifiably) bending over backwards to accommodate, played just 16:25 per game last year. It would no doubt be a mistake to dismiss Fleischmann as being unable to help out any NHL team right now. However, he can’t realistically help out a team primed to contend like the Canadiens. There just isn’t enough ice time to go around. The PTO is all they can really afford.